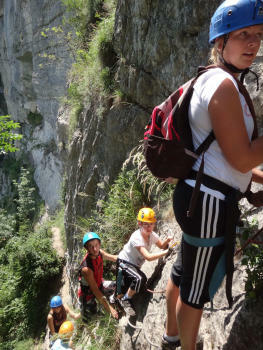 The stream flows of Oule, top of the waterfall. Via ferrata overlooking the valley Grésivaudan. 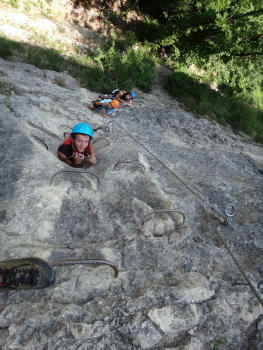 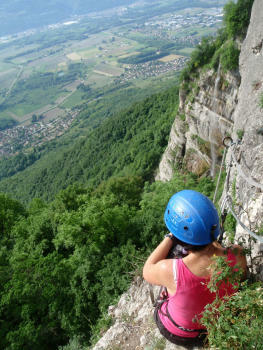 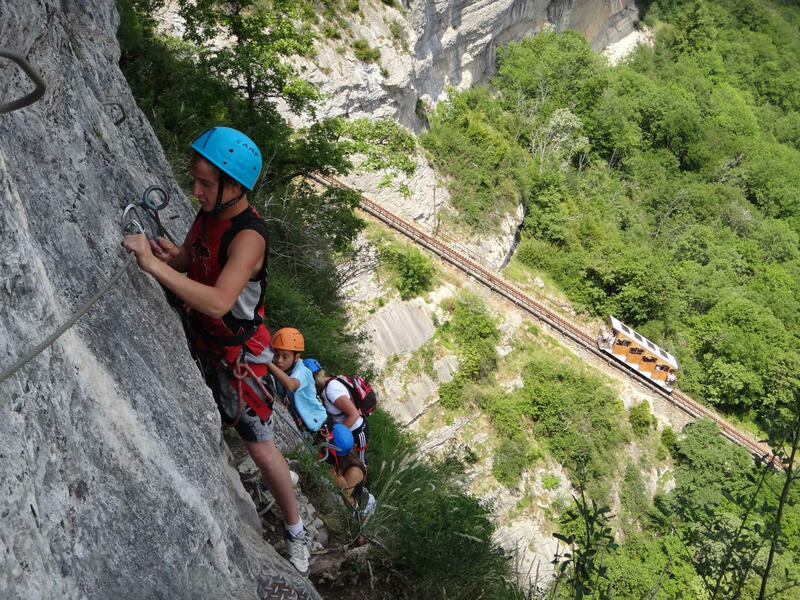 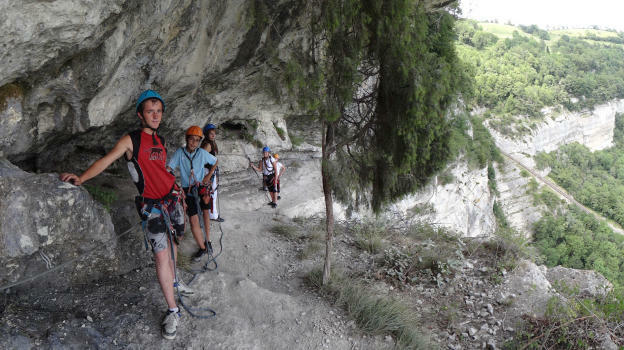 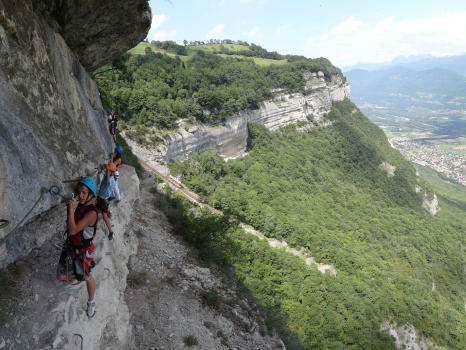 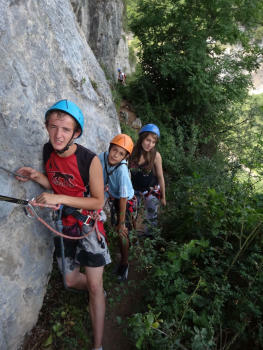 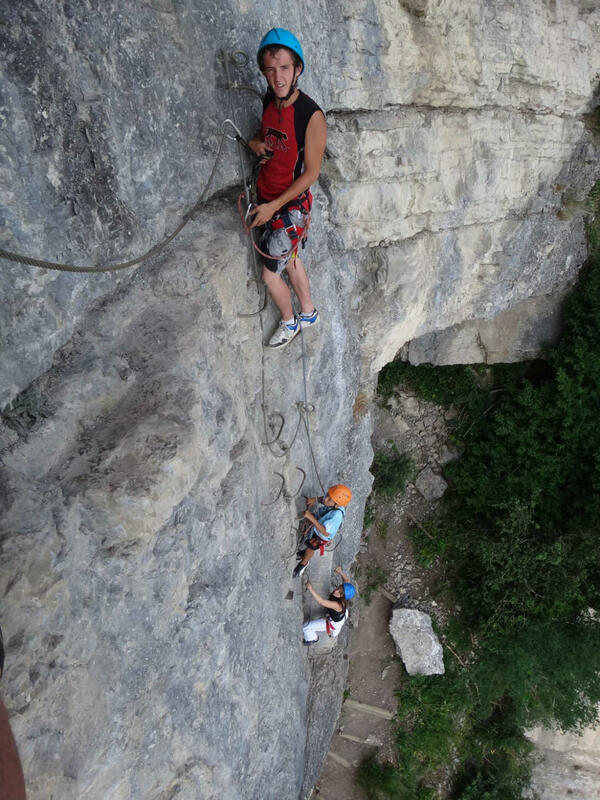 Via ferrata located in Saint Hilaire du Touvet above Crolles. 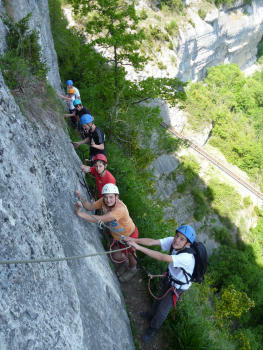 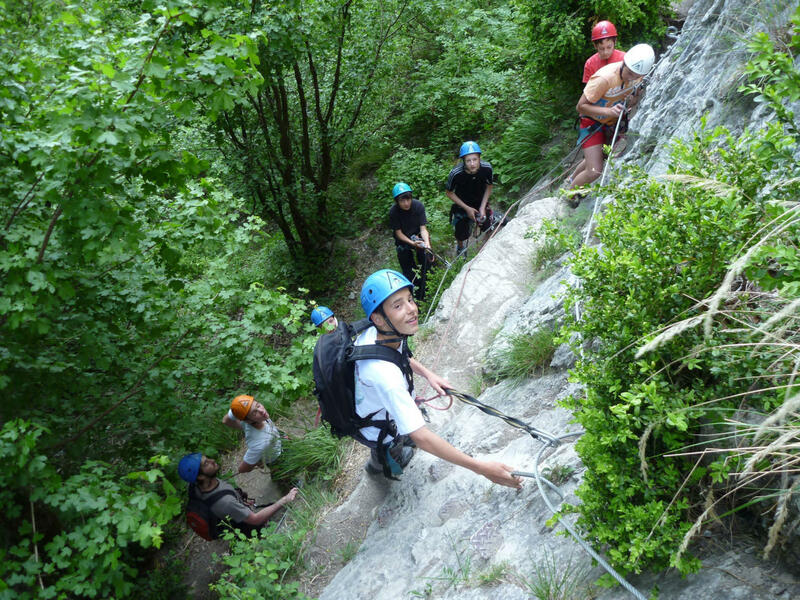 Ideal via ferrata to discover the activity, a half day of action with a superb view on the Mont Blanc, top of Europe ! 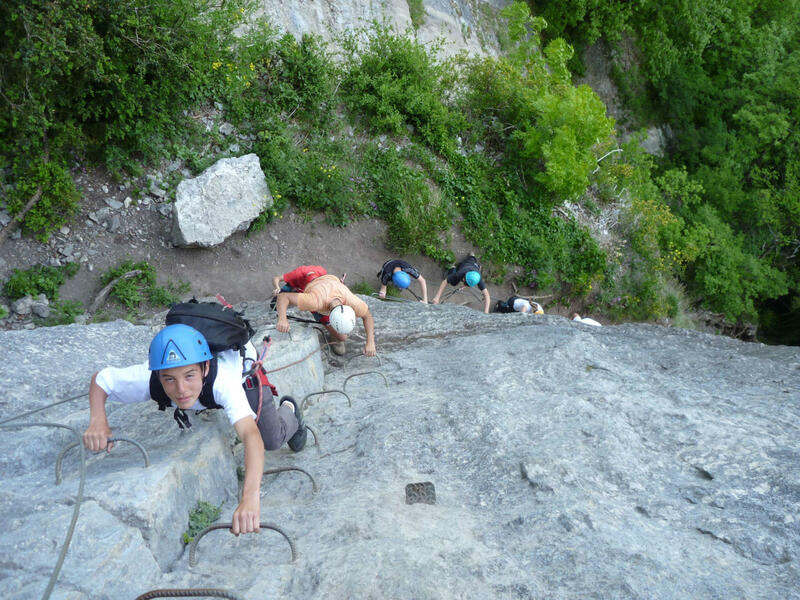 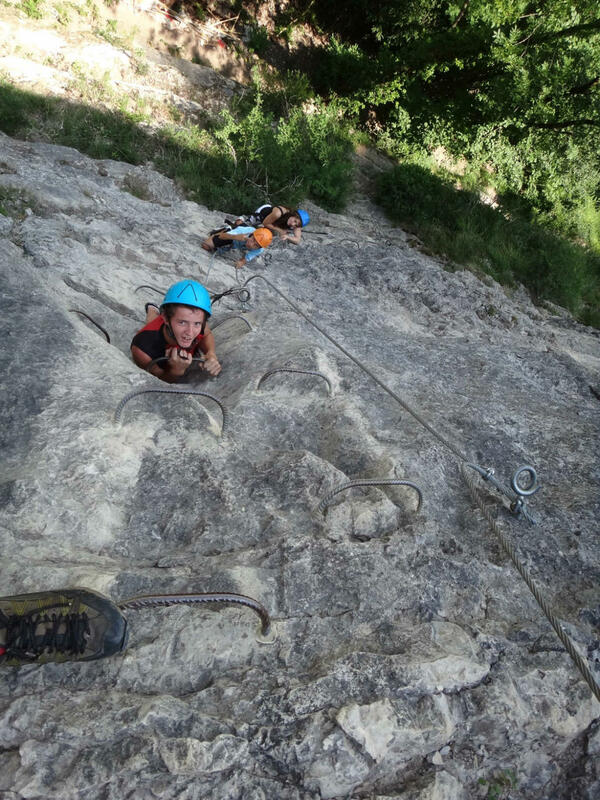 We get going at the « easy way out » located at the end of the Lavandières traverse, to link to an impressive ledge and end up on the famous « Devil's ladder » !